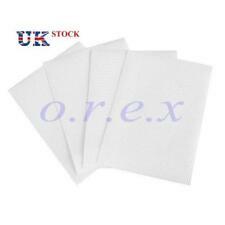 "lampa 98720 4 for Truck Tarpaulin Repair Kit "
Repair patches kit. Set of 4 repair patches. Tear-proof reinforced PVC with canvas. Remove protective paper from the adhesive. Press firmly to ensure a good grip of adhesive. Place in the fitting position. Heavy Duty 5T Ratchet Strap With Claw Hook 10M. 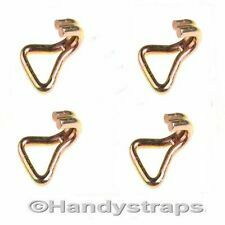 4 x 50 mm Claw Hooks for Webbing & Ratchet Straps Yellow Passivated 5 ton These claw Hooks are used with 50mm webbing . This is 2 x 6 meter x 50mm TIE DOWN RATCHET STRAPS 5ton Ideal for leisure and commercial use. Ideal for transporting large and heavy loads. Complete with claw hooks. You can use the claw hooks in lots of ways that is why transport company will only use claw ones. Just ask yourself do you what to use what the professionals use or the DIY ones. All our ratchets are measured from bearing point to bearing point. So the overall length is as described. It took me a long time to find these one at the right price. Detailed Product Description Features: 1) Material: polyester, nylon 2) Manufactured to EN12195-2 AS/NZS4380 &n.
GENERIC IMAGE MAY HAVE BEEN USED, UNLESS OTHERWISE STATED. ACTUAL ITEM MAY DIFFER IN APPEARANCE, SIZE, AND SHAPE. IV, HS, KA27-28, KW, PA20-49, PA60-78, PH17-26, PH30-44, ZE, BT, IM, TR21-25, AB, GY, JE, CHANNEL ISLANDS. Heavy Duty Ratchet Strap 25mm x 8M 400kg Capacity. Load capacity: 400kg. Helping anyone out where we can. We also have a full range of spill protection products available such as full response kits to individual boxes of oil/chemical spill pads and absorbent booms (sausages). OXFORD BUNGEE HOOKS – 9MM X 600MM. Size 9mm x 600mm. Hardened steel hooks for ultimate strength. Tested and approved by tough German TUV product safety standards. An envelope icon next to the order will show that it has been dispatched and if you hover over it with your mouse you will see the date of dispatch. This is 7.5 meter x 50mm Stainless Steel RATCHET STRAP Ideal for leisure and commercial use. Ideal for transporting large and heavy loads. Complete with claw hooks. You can use the claw hooks in lots of ways that is why transport company will only use claw ones. Just ask yourself do you what to use what the professionals use or the DIY ones. All our ratchets are measured from bearing point to bearing point. So the overall length is as described. It took me a long time to find these one at the right price. Not all straps are the same , some of the 5 tons one have a plastic handle on them and are cheaper. You know that two thing look the same but you can feel the difference. We have been doing Lifting gear ,Straps, Slings and lots more for years Detaile. OTHER SIZES AVAILABLE for both Volvo and Renault. THE SIZES ARE 38CM LONG,70CM HIGH,70CM DEEP -D SHAPE TANK. 10" bungee cords Approximately 250mm The 10" bungees come in packs of 10 (1 pack in total) Stretches to approximately 17.5" (45cm) Elastic design provides constant tension and a firm hold Metal hooks Ideal for light duty applications Perfect for camping, hiking, cycling, roof racks, fishing, travelling and much more Manufacturer: Neilsen Weight: 0.11kg . TO COVER THE ARCH COVER STRAP FIXINGS. HIGHLY POLISHED STAINLESS ETCHED WITH V8 LOGO. sales open 8am to 8pm mon to sat. Part number:TRA073. Bison Parts cannot accept liability for any inaccurate or subsequent changes to the information provided. This policy does not affect your statutory rights. This part replaces manufacturer part numbers:1868154, 4861754. 1 x 8-10metre Ratchet strap Tidy Wrap Storage - Strap band only This is made from high quality webbing and stainless steel ring which has been professionally made. Ideal for leisure and commercial use. The ratchet tidy straps are good to keep your straps nicely rolled up after use. 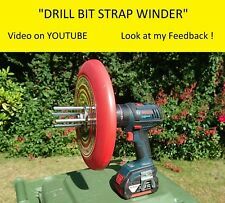 Just ask yourself do you what to use what chuck away your old straps or use this device to keep you existing ones nice and tidy. 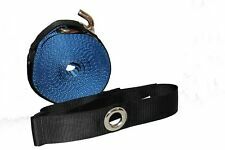 The strap can take up to a 8metre - 10metre straps BLUE STRAP NOT INCLUDED We have been doing Lifting gear ,Straps, Slings and lots more for years. Detailed Product Description Features: 1). 10" bungee cords Approximately 250mm The 10" bungees come in packs of 10 (4 pack in total) Stretches to approximately 17.5" (45cm) Elastic design provides constant tension and a firm hold Metal hooks Ideal for light duty applications Perfect for camping, hiking, cycling, roof racks, fishing, travelling and much more Manufacturer: Neilsen Weight: 0.44kg . MAN AIR TANK RETAINING STRAP. PART NO.82.97460.6003. SCANIA 4 SERIES AIR TANK STRAP. FOR 30 LITRE AIR TANK (BIG TANK). 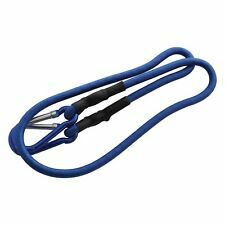 Heavy Duty Ratchet Strap 25mm x 8M 400kg Capacity. Load capacity: 400kg. Webbing width: 25mm (1"). Helping anyone out where we can. 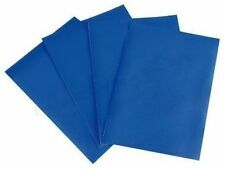 We also have a full range of spill protection products available such as full response kits to individual boxes of oil/chemical spill pads and absorbent booms (sausages). DAF CF65, CF75, CF85, LF45, LF55, XF95 & XF105 AIR RESERVOIR TANK STRAP 276MM (PAIR). Suitable for:DAF CF65, CF75, CF85, LF45, LF55, XF95 & XF105. Bison Parts cannot accept liability for any inaccurate or subsequent changes to the information provided. Is there anything more essential than a bungee cord?! No, we thought not. Cast Iron, Collectables & Gifts. Primary Material: Elastic. Cast Iron, Collectable & Gifts. Maximum Stretch Length: 39". The elastic design on all of our bungees provides constant tension and a firm hold. All Ride Ratchet - Tie Down Winder 8711252528625. All Ride tie down winder with ultra-strong magnet base. Beacons and has the octal strobe tube so the tube. 12v dc operation. Ideal for roof racks trailers etc. AB, BT, HS, IV, KA, KW, PA, PH, ZE, Isle of Wight, Isle of Man, Isles of Scilly and Channel Islands. HIGHLY POLISHED STAINLESS ETCHED WITH THE SCANIA AND V8 LOGO. TO COVER THE ARCH COVER STRAP FIXINGS. AND INCLUDES16 POLISHED STAINLESS STEEL NUTS AND BOLTS. FINISHING TOUCH. DAF CF65, CF75, CF85, XF95 & XF105 AIR RESERVOIR TANK STRAP (PAIR). Suitable for:DAF CF65, CF75, CF85, XF95 & XF105. Bison Parts cannot accept liability for any inaccurate or subsequent changes to the information provided. Lashing Strap 5 tonne. LASHING STRAP 4 T 8M 50MM. with stable ratchet handle,with precise labelling. QUICK DISPATCH. OF HIGH QUALITY TOOLS & CAR ACCESSORIES. WE CARE ABOUT QUALITY! All products are directly imported from Germany to our warehouses in the UK. Curtain buckle assembly. Webbing manufactured from polyester or polypropylene fibre. Part number: A9737201516. Genuine Parts. Right Hand Side. Key Features. COVER THE ARCH COVER STRAP. IF YOU WANT A ITEM BEING MADE DIFFERENT SIZES AND DIFFERENT LOGO. ANOTHER UNIQUE PRODUCT FROM THE FINSIHING TOUCH R-SERIES 4-SERIES, THEY ARE READY TO BE DISPATCHED STAIGHT AWAY.